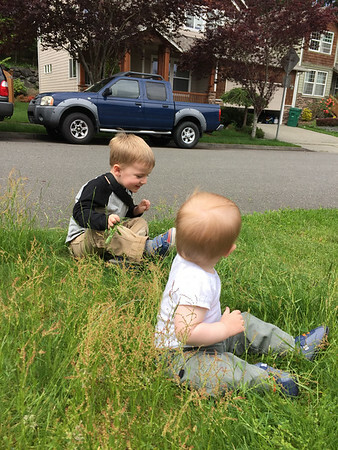 Today, when unloading the car from our Costco trip, the boys sat in this small grassy square for more than 15 minutes. It was a miracle that Nicholas didn’t take off crawling across the pavement in any direction. It is probably due to them missing the feeling of grass since we have been reseeding ours for the last month and so we haven’t been playing on it. 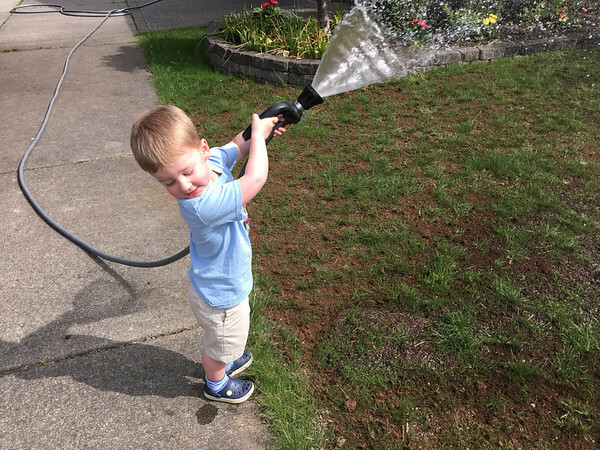 Cooper is a big fan of the need to water our lawn 2-3 times a day when it is sunny out while the new grass seeds grow.